285 x 190 mm. – 184 leaves, with 14 full-page miniatures, 1 full-page decorated initial, 46 large historiated initials, and over a hundred 2-3 line decorated initials. A magnificent Romanesque book of prayers used during the service of the Mass. The Stammheim Missal is a majestic Romanesque masterpiece made in the renowned Benedictine Abbey of St. Michael in Hildesheim. The immaculately preserved book is illuminated with initials and miniatures dominated by unique and theologically complex iconography. 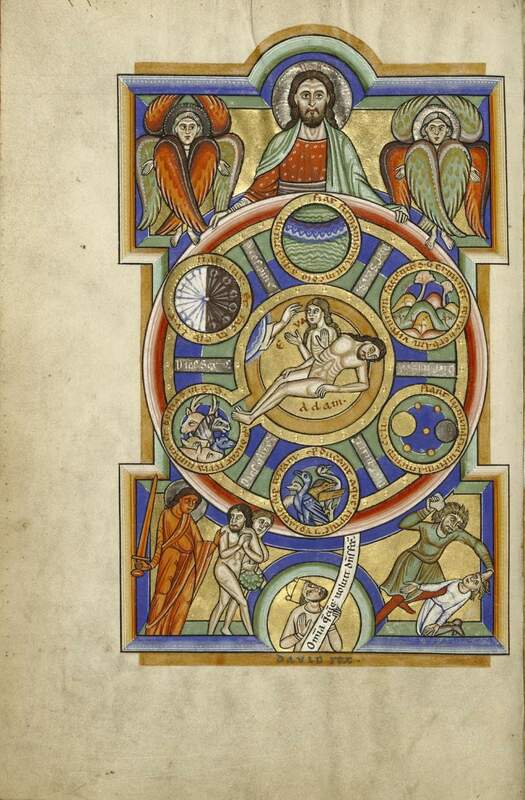 The vigorous artistic tradition initiated by Bishop Bernward, the founder of the monastery in 996 and overseer of the construction of the Ottonian church, is apparent in the vibrant Romanesque illumination which powerfully attests to the prestige of one of the most distinguished abbeys in medieval Germany. Images courtesy J. Paul Getty Museum.